A Cafe that we go to for breakfast in Melbourne has SD crumpets on the menu. They offer either vegemite or honey. $8 for 2. No better than what we are making. Could also make the Alaskan hot cakes https://www.forumthermomix.com/index.php?topic=16516.0 in the pie maker. These have an egg, coconut in them. 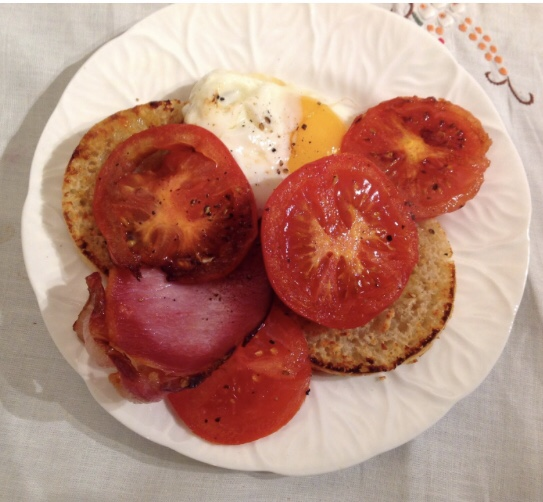 Chookie I have added the link to your Alaskan Hotcakes, will try them at some stage. Thanks Judy, you are a gem. 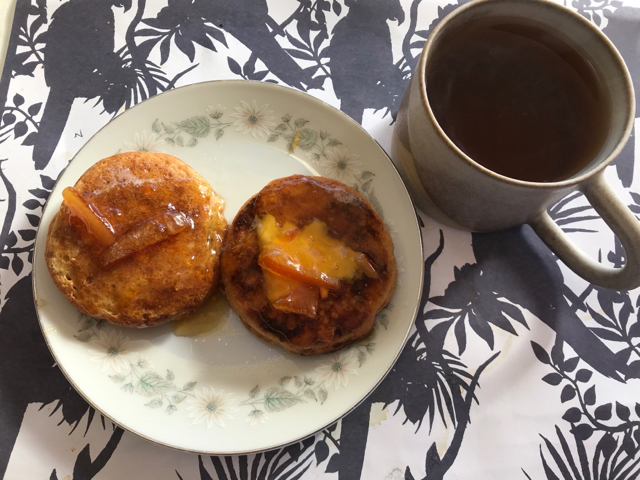 This morning for breakfast I had SDCrumpets with home made Citrus Jam. Perfect. Judy, although this is the original recipe for Alaskan Hot Cakes I am going to play with the recipe . I am also thinking that English muffins might work well in the Pie Machine. They are more involved than the Crumpets as the dough is made the day before and they are cut like scones. You can cook so many things other than pies in the pie machines Chookie. Those on the 2 pie maker FB groups I’ve joined cook muffins, cup cakes, bacon & eggs, frittata, quiches and so the list goes on. It’s just a matter of thinking outside the box. Mini pizzas sound great. Two of my GD love to put nutella on their crumpets. I quite like nutella but not on crumpets. Judy, love this creative thinking. I had breakfast only 2 hours ago and after seeing those photos I want some more Chookie. 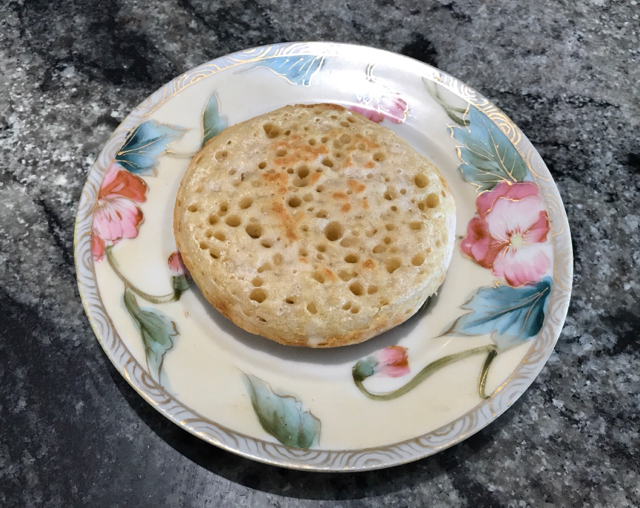 I have some of the crumpets in the freezer, and they are smaller than the ones made in the crumpet rings. This one is for Cookie. I could devour that! It's now just over 2 hours since lunch and I would love it. Must be time for a piece of fruit.